These are the basic strategies for dealing with a stuck mash that I’ve collected over the years. If you have your own ideas to add, please leave us a comment below. 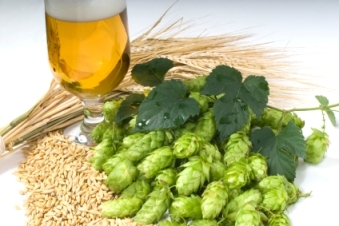 Thanks again for joining us on the BeerSmith Home Brewing Blog. Please consider subscribing for regular email or RSS delivery if you enjoyed this week’s article. Yup I made the same mistake when I was a newbie. I did my mash much too quickly. Patience is the key folks! Now that’s what happened when someone new to this type of thing and don’t know what to do but after the mistake they learn and then they are ready to go. Do you know what batch sparging is? by definition batch sparging is running the grain bed dry then refilling. and NOT having water running into the lauder tun during the sparge. In researching the topic I found there is tremendous variation in the way people batch sparge. I agree that most people empty the tun for each batch, but there is a group that believe you should not empty the tun as it leads to stuck sparges. If you talk to 10 people about what batch sparging is you will likely get 10 different answers. I have heard of sparge water being pumped into the MLT outlet to help reset a stuck sparge. Do not recall effectiveness but sounds like a good idea. As a last resort during my stuck sparge I stuck a bicycle pump hose into the drain valve and pumped while opening it. After doing this twice it drained no problem. The beer came out fine too! I just had a BIAB clog up while brewing a half-rye recipe. My bag (from a sheer curtain) might be a little too fine, heh. After hoisting up the bag and seeing no movement, echoing cautions regarding rye floated to the front of my brain. Now I know! Just wondering if anyone has tried a layer or bed of sacrificial unmilled barley at the bottom of the mash tun? Would it work? First Attempt at an All Grain Brew | Hop Heads – Geeks Brewing Beer!